It has been six years since we broke the news of Resident Evil director Paul W.S. Anderson adapting another Capcom video game series, Monster Hunter. And in that time we haven't heard a ton about it, but one thing seemed obvious right from jump street: his wife Milla Jojovich would probably be in it. And today that has become official. Jojovich will get to lead yet another video game adaptation with Monster Hunter, which is set to begin shooting this September in South Africa, just like Resident Evil: The Final Chapter did. 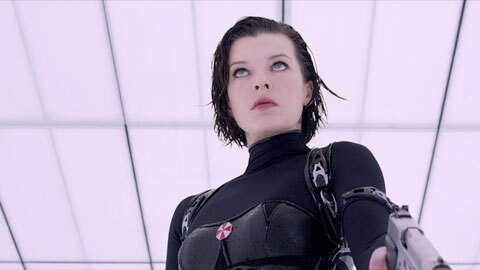 The $60M production is basically following the Resident Evil model straight down the line, employing the same highly stylized visual effects from Mr. X.
Monster Hunter is an open world RPG in which a Hunter sets out to trap and kill monsters so they can upgrade their hero and face bigger, tougher monsters. The games, which debuted a decade ago and have sold millions of copies, are largely plot free so it will be interesting to see what Anderson comes up with for the movie.